Scientists at the University of Sheffield have been working with HiPERCAM, a high-speed, multicolour camera, which is capable of taking more than 1,000 images per second, allowing experts to measure both the mass and the radius of a cool subdwarf star for the first time. The findings published today (8 April 2019) in Nature Astronomy have allowed researchers to verify the commonly used stellar structure model - which describes the internal structure of a star in detail - and make detailed predictions about the brightness, the colour and its future evolution. Scientists know that old stars have fewer metals than young stars, but the effects of this on the structure of stars was, until now, untested. 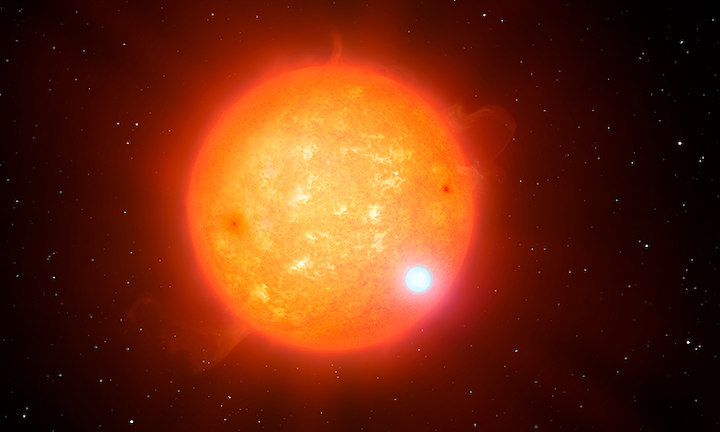 Old stars (often referred to as cool subdwarf stars) are faint and there are few in the solar neighbourhood. The paper is the first to be published using HiPERCAM data, which is mounted on the Gran Telescopio Canarias (GTC) - the world’s largest optical telescope, with a 10.4 metre mirror diameter. Data captured by the camera, taken in five different colours simultaneously, allow scientists to study the remnants of dead stars such as white dwarfs, neutron stars and black holes. The GTC is based on the island of La Palma, situated 2,500 metres above sea level, which is one of the best places in the world to study the night sky.